Green Planet Grass is a member of the Sports & Play Industry Association. SAPIA is the peak body for sports and recreation construction in Australasia. 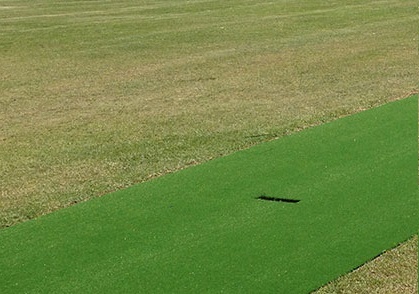 At Green Planet Grass, we offer an excellent range of high-quality cricket wicket surfaces that are suitable for everyone from schools to councils and clubs. 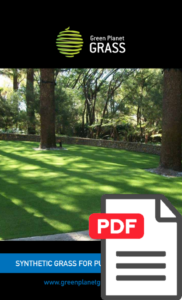 No matter what kinds of cricket wicket you’re looking for, Green Planet Grass will find the perfect solution for you. We have grade, shield and test ranges available with a wide variety of stitch rates and pile heights, allowing you to customise your wicket to perfectly suit the level of your players. While every wicket we create is custom designed to your specifications, they all share the same high-quality speed, bounce, slide and grip characteristics, ensuring a fair and consistent game every time. We can manage everything from designing the wickets to constructing the concrete base and installing your practice nets, ensuring that your entire setup is of the highest quality.